Seattle Backyard Cottages - What's all the fuss about? Over the past year the Seattle City Mayor and City Council have been working on changes to portions of Seattle's zoning codes that deal with back yard cottages and mother in law units in single family neighborhoods. The changes are hoped to encourage greater density and a wider variety of housing options, including more units for lower income families. 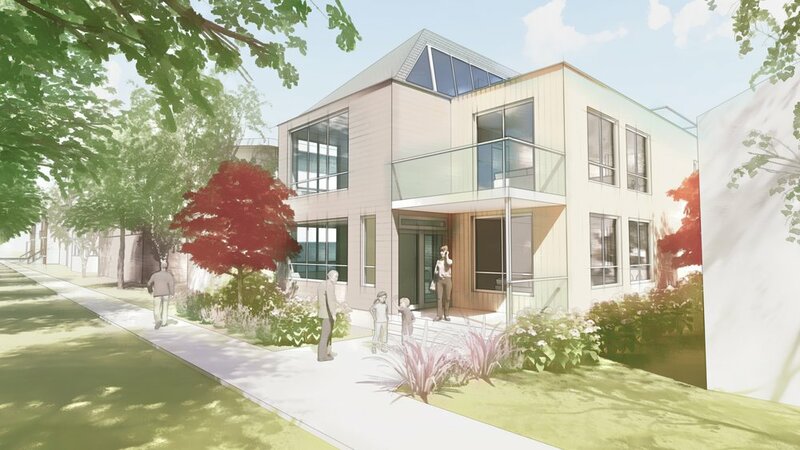 In response to the proposed changes the Queen Anne Community Council (QACC) filed an appeal in an attempt to block the legislation. The appeal is set to be heard on this coming Wed. 8/31/2016 at 9:00am. If the QACC's appeal is successful it will most likely have a significant drag on the timeline for the changes. We believe that some change will still likely occur however, it appears that the mayor and city council has the will to push the proposed changes regardless of the outcome of Wednesday's hearing. If QACC's appeal fails it will help clear the path and speed up the proposed changes. That said there seems a good chance that the QACC (or someone else) may try another tactic to stall or block the changes if this one fails. Because of this is hard to know how long any changes will be delayed. Wow, strong support for all of the changes to the DADU / backyard cottage code! 23 for /6 against allowing a DADU and an ADU on the same lot (and possibly change the number of unrelated persons allowed to live on an Single Family lot. I didn't get the tallies for the height limit increase and other development standard improvments but they were also supported by a plurality. The reception was generally positive and civil, and more importantly according to the straw vote for the various measured, there was overwhelming support for all of the provisions. Next open house is 6 pm, February 3rd at the Wallingford Community Center. A triumph for the 'Seattle Way'--years of contentious hearings, studies, tweaks resolve into ultimately a unanimous decision. Â There is a certain super-tanker inertia about the city process that eventually prevails but it does it take a quite a while to steer the ship of state toward higher goals. Big thanks to Councilmember Sally Clark, the DPD staff, and CORA supermen: Â Brandon Nicholson, Bradley Khouri, and David Neiman. New Multi-family code: vote on Monday? The new Multifamily Code is scheduled to come up for a vote before Council on Monday. Â After years of process, hearings, and work shaping the outcomes, the new code will have some new attributes geared toward more flexibility in heights, parking, setbacks, and density. Â It disincentivizes the '6 pack' townhomes everyone dislikes and gives out bonuses for green building, designs that hid parking and give a better streetscape. For those of us who participated in the sausage-making legislative process over the years, it is great to see that it will finally come up for a vote. Â If you want to see the vote, and who wouldn't, it will be at City Hall at 2pm Monday.